Sculptra Aesthetic is the latest treatment available for restoration and/or correction of the signs of facial fat loss, wrinkles, skin droop and aging of the face. It replaces lost collagen to give you a more natural looking appearance without giving you away. 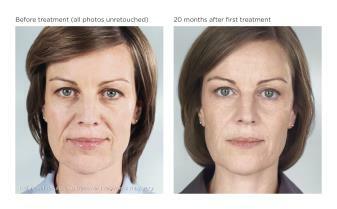 Sculptra Aesthetic has been safely used worldwide since 1999 in over 150,000 patients. In 2009 the FDA granted approval in the U.S. for the correction of shallow to deep nasolabial fold (smile lines) contour deficiencies and other facial wrinkles which are treated with appropriate injection technique in healthy people. Sculptra Aesthetic works to target the underlying causes of the signs of aging such as collagen loss–it is made of a synthetic material called poly-L-lactic acid, which works to replace lost collagen. Poly-L-lactic acid is safe – absorbed naturally by the body – and has been used for years in dissolvable stitches. 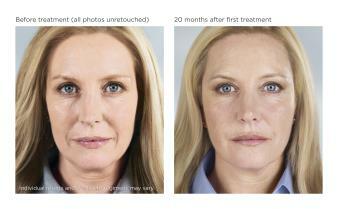 Sculptra Aesthetic is the first facial injectable with results that can last up to 2 years after your last treatment. The results are not immediate. Because it targets the underlying causes of the signs of facial aging, it can give you noticeable results that emerge subtly and can last for up to 2 years. Some visible improvements can be seen within the first few weeks of treatment, but the Sculptra Aesthetic regimen is designed to deliver its unique effects over the course of a few months. Typically, an average of 3 treatment sessions over a period of a few months – and because results happen gradually, you’ll see subtle yet noticeable results in the appearance of facial wrinkles and folds.